The Neighborhood Playhouse has a long standing tradition reaching back to its original roots at the Henry Street Settlement House of demonstrations of work including music, dance, and voice. The second year Song Interpretation/Music II teacher, Mr. Douglas Cohen, creates a musical entertainment specifically tailored to the class and complete with costumes, set, and accompanist. The evening opens with a demonstration of Jazz Dance teacher Mr. Gary Gendell choreography designed to demonstrate the work the students are doing in his class. Students rehearse both in and out of class for a period of approximately seven weeks. Friends and family are invited to this special evening, which generally takes place at the end of February. 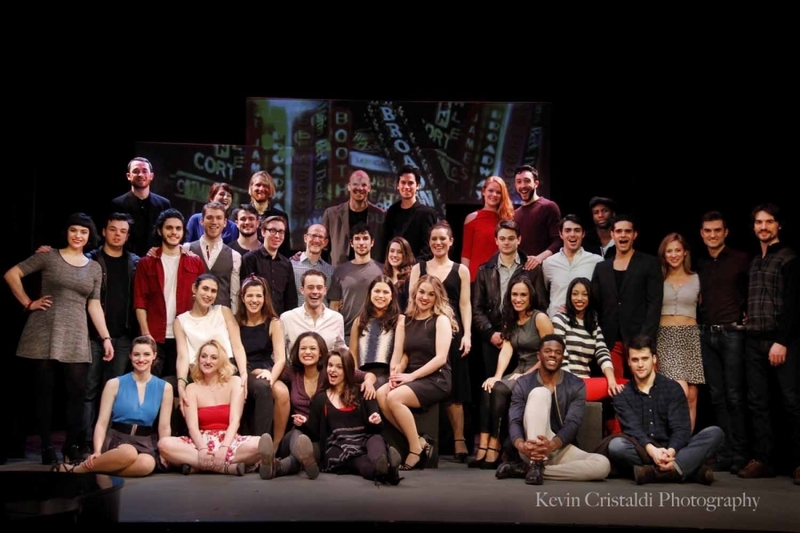 In the spring, all of our graduating students participate in our Showcase for industry professionals including agents, managers, directors, and more. 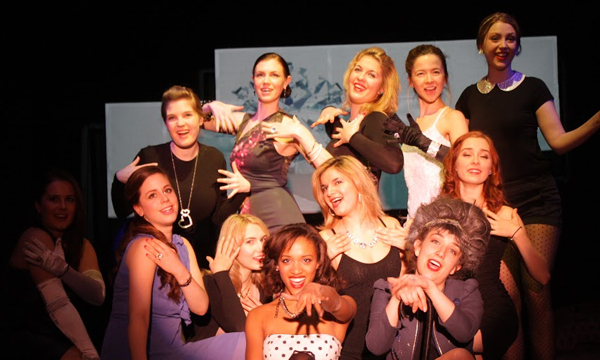 While there are no guarantees in the world of acting, the Industry Showcase has helped to launch the careers of many of our graduating students and frequently results in the students booking meetings, auditions and subsequent work. 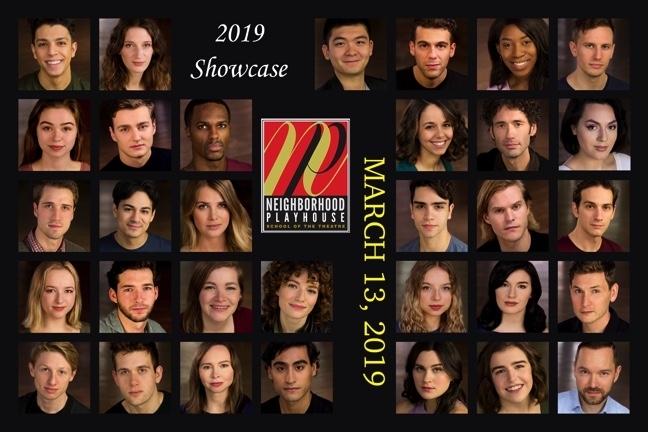 2019 Industry Showcase will take place at The Neighborhood Playhouse School of the Theatre, 340 E. 54th Street, NYC, NY 10022. Here at The Neighborhood Playhouse we continue the tradition of providing our graduating acting students with the chance to put into practice all their disciplined training and hard work by performing in a fully realized theatrical production. These plays are performed in the Rita Morgenthau Theatre in the spring of the second year just prior to graduation. They are directed by professional directors and rehearsed for approximately five weeks. Sets and costumes are designed and created by professional technical staff assisted by first year students. These are off-Broadway caliber events and open to the public. 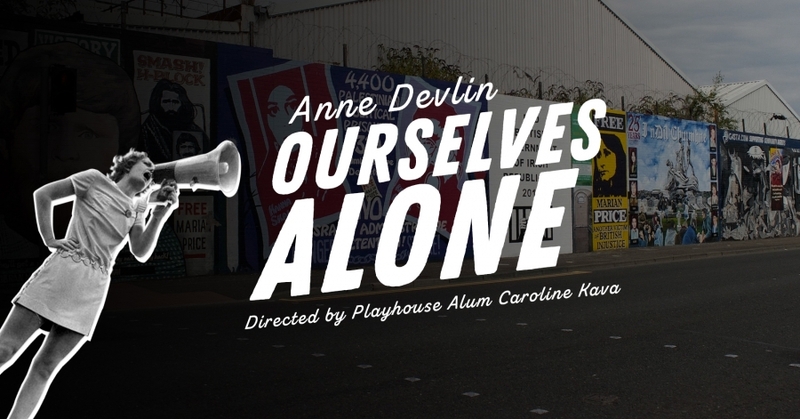 The work that the actors do, both in rehearsal and performance, provides a perfect opportunity for creative growth and a chance for the well-trained, conservatory student to put into professional practice all the skills and knowledge they have learned here at The Playhouse. 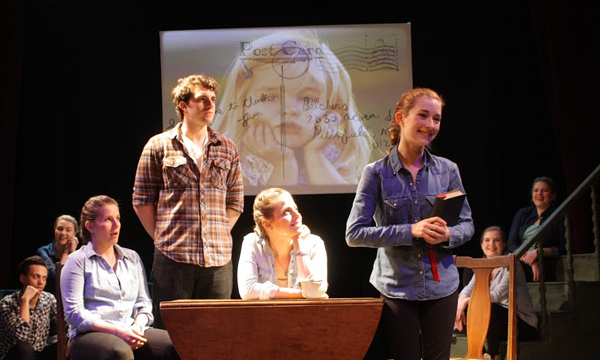 The plays are chosen from a wide range of material with an eye on best serving the class. Past producitons have included works by many well known playwrights including: Tennessee Williams, Horton Foote, Wendy Wasserstein, William Inge, John Guare, Tina Howe, Edward Allan Baker, Beth Henley, Arthur Schnitzler, George Bernard Shaw, William Shakespeare and many more. In some instances we have comissioned known playwrights to create works specifically for our students. 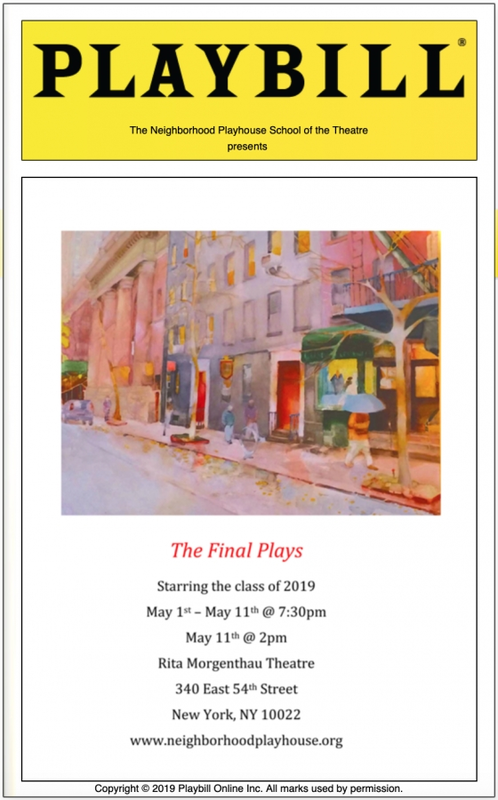 The Final Plays at The Neighborhood Playhouse are a wonderful experience for all and the perfect way to transition from conservatory to the professional world of acting. CHECK OUT OUR PLAYBILL PROGRAM!! !